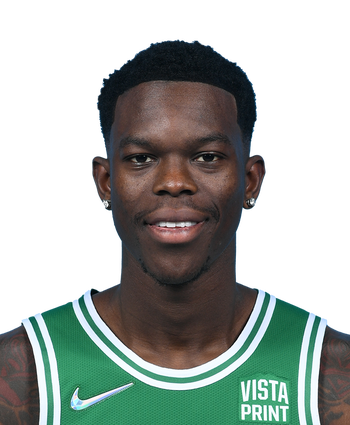 Schroder scored a game-high 32 points (10-21 FG, 8-15 3Pt, 4-4 FT) while adding five rebounds, four steals and three assists in 40 minutes during Wednesday's 127-116 win over the Bucks. Getting a start in place of Paul George (shoulder), Schroder tied his season high in scoring and blew past his previous season best (five) in made three-pointers. The 25-year-old had some trouble establishing himself in his first season with OKC, but he has the potential to make a difference in the Thunder's first-round tilt with the Rockets. Schroder will start Wednesday's game against the Bucks. Schroder's move into the starting five comes in place of the injured Paul George. Schroder's averaging 31.1 minutes per game since the start of March, and could see an even larger role with the starters. Schroder finished with 21 points (8-15 FG, 1-3 3Pt, 4-4 FT), two rebounds, an assist and a steal over 32 minutes Sunday against the Timberwolves. 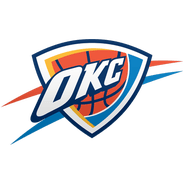 Schroder logged big minutes off the bench and played a key role in Oklahoma City's 132-126 victory. The 25-year-old has been red hot to begin the month of April, scoring 14 or more points in each of the previous three games. Schroder will aim to maintain this level of production with only two matchups remaining in the regular season. Schroder pitched in 14 points (6-14 FG, 1-5 3Pt, 1-1 FT), 10 assists, seven rebounds, and one steal in 31 minutes during Friday's 123-110 win over the Pistons. Schroder was spectacular overall, coming fairly close to logging a triple-double in this one. This was actually just his third double-double of the campaign, his lowest total in that category since 2015-16 (two). However, Schroder has been a strong third option offensively all season, and his stats haven't dropped off as much as one might have assumed they would after being the top option for the Hawks in 2016-17 and 2017-18.